Middle East Online, by Romaric Ollo Hien (Ouagadougou, Burkina Faso, June 19, 2013) — Mali’s government signed a ceasefire accord with Tuareg rebels Tuesday, paving the way for presidential elections in the troubled west African state next month. 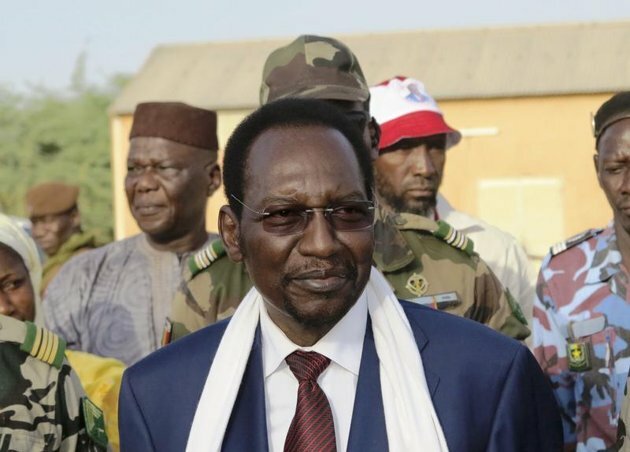 The agreement, reached after 10 days of tense negotiations, will enable Malian troops to enter the Tuareg-held city of Kidal in the northeast to secure polls scheduled to take place on July 28. The two sides agreed to halt hostilities and for Tuareg rebels, who took part in an uprising last year that brought the country to its knees, to be restricted to set areas. Long-term peace talks will start after the election. Territorial Administration Minister Moussa Sinko Coulibaly signed the accord with representatives of two Tuareg movements in Ouagadougou, capital of neighbouring Burkina Faso. Mahamadou Djeri Maiga, vice president of the Tuareg National Movement for the Liberation of Azawad (MNLA), said the accord was a chance to “turn the page of hate”. There is longstanding distrust between the government and ethnic Tuaregs, who launched an uprising with Al-Qaeda-linked militants last year. French forces intervened in January to halt an Islamist advance on the capital. “This agreement represents a major breakthrough in exiting the crisis in Mali,” said French Foreign Minister Laurent Fabius. “I call on the Malian parties, now reunited around a common project, to fully implement this agreement in the best interest of the country,” he said. European Union policy chief Catherine Ashton said the agreement had “historical significance”. UN leader Ban Ki-moon also welcomed the accord, urging both sides to begin implementing the agreement at once. But UN envoy to Mali Bert Koenders said the deal was only “a first step”. Talks over “technical details” on security and setting up an administration and essential services in Kidal had not started, he said. A donor conference for Mali last month raised $133 million, barely a third of the $410 million targeted. More money had to be found “…before the situations deteriorates further still”, he warned. The Tuareg occupation of Kidal had been a major obstacle to holding the election, seen as crucial to Mali’s recovery from the conflict of the past 15 months. Malian officers staged a coup in March 2012 in anger at the government response to the Tuareg rebellion. Flush with weapons following the return of Tuareg mercenaries who fought alongside Libyan dictator Moamer Gathafi, the MNLA overpowered the weak army. The Tuaregs seized key northern cities before being sidelined by their more powerful Al-Qaeda-linked allies, who seized control of the north and imposed a brutal form of Islamic law. French troops and African allies have reclaimed most of the lost territory but the Islamists have launched a guerrilla campaign from desert hideouts. The United Nations last week warned that the human rights situation in northern Mali remained precarious, with both rebels and Malian troops accused of committing numerous abuses. A UN stabilising force, comprising 12,600 international troops and police, is due to start deploying on July 1. The MNLA sided with France during the worst of the fighting this year but was reluctant to allow government troops into its Kidal bastion for the vote. Arrest warrants issued by Malian authorities against MNLA chiefs were a sticking point in the negotiations, but one source said an agreement was made that the warrants would not be carried out. The accord does state, however, that international investigators will look into crimes against humanity and war crimes committed during the conflict. The International Criminal Court says it is already collecting evidence.